Say hello to the Internet of Filthy Things. Tech companies are turning their attention to the world of dumpsters, garbage trucks and landfills. With smart trash cans, professional dumpster divers and mounds of waste data, these companies are able to make a dirty business more efficient. Cities and companies are saving millions. Traditionally, trash is picked up on a regular schedule, regardless of whether a dumpster is full or not. Enevo, a Finnish company, retrofits trash bins with sensors to detect how full the container is, and when it is emptied. This way a business will only have its trash removed when needed, and it can verify a pick-up has happened. "We're trying to be a fresh wind and provide transparency in the value chain," said Fredrik Kekalainen, Enevo's founder and CEO, whose previous company made software for mobile phones. Now his technology skills are helping to shake up the waste industry. Enevo doesn't actually make garbage trucks or dumpsters, but provides the software and sensors to optimize them. According to Kekalainen, it's common to empty dumpsters when they're only 30% to 60% full. 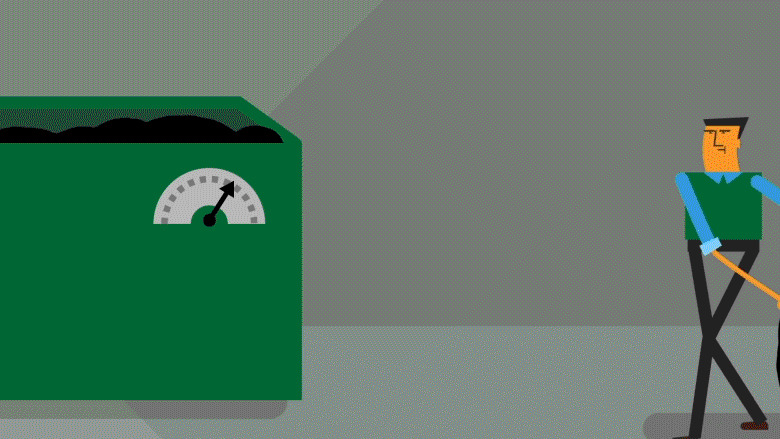 Enevo's technology means trash trucks waste fewer miles driving around cities. After tracking the garbage trucks in Antwerp, Belgium, Enevo halved the numbers of trucks needed in the city. Rotterdam, another Enevo customer, learned it could cut the days it picked up trash by 20%. Smart dumpsters also empower homes, buildings and businesses to track exactly how much trash they generate. While utilities tell us how many gallons of water we use, and how many watts of electricity, the same isn't done for trash. Kekalainen said this will ultimately help governments and businesses change behavior and limit waste. 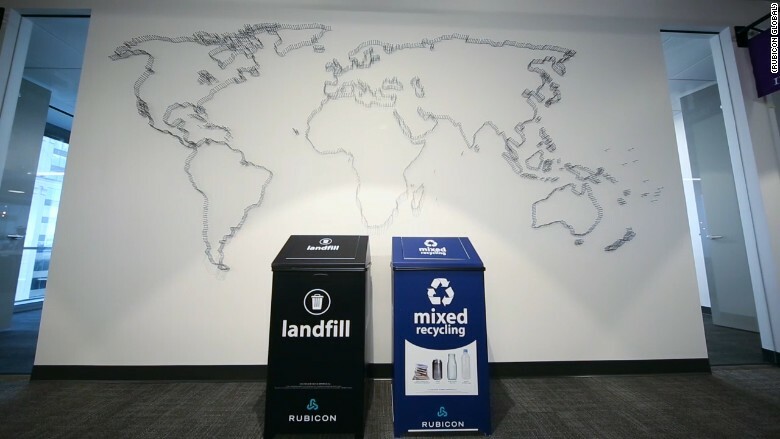 Rubicon Global is another standout in the burgeoning smart trash sector. In a sense, Rubicon Global is the Uber of the trash world. 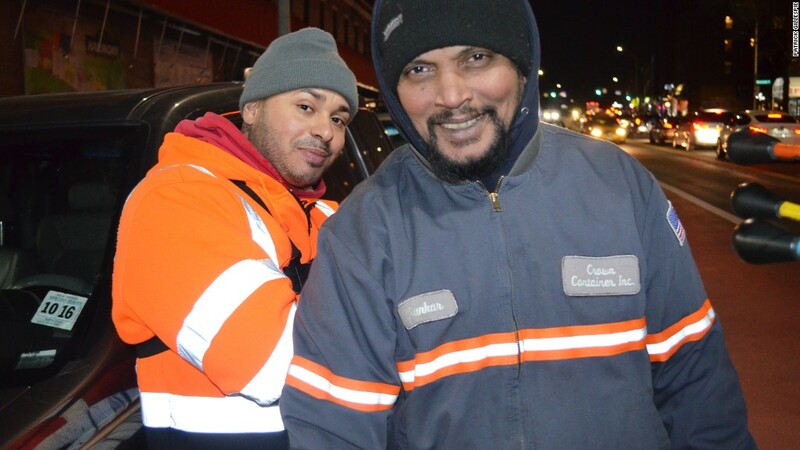 It connects independent garbage truck operators with specific jobs. Customers can request a pick-up exactly when they need it. Rubicon Global gives drivers recommended routes to improve their efficiency. CEO Nate Morris said his company's secret sauce is its data, technology and ability to incentivize businesses to not put trash in landfills. Revenue has tripled this year. It operates in all 50 U.S. states. The Atlanta-based company puts a smartphone in garbage trucks. It can tell when a dumpster has been emptied by listening for the sounds of a truck's hydraulic arms, the clang of a dumpster's lids closing, and the vibrations of the truck as it's filled with trash. Customers get regular reports of when their trash is picked up and how much waste they're generating. Some employees, jokingly called professional dumpster divers, will assess a business's trash output and offer suggestions on how to improve it. According to chief technology officer Phil Rodoni, Rubicon Global helped one large retailer turn its trash bill into a profitable business. Rubicon suggested the retailer take the cardboard boxes that merchandise arrived in and return them to its distribution centers. Then the cardboard could be sold to a paper mill. Businesses such as Rubicon Global and Enevo help the environment, but without increasing costs for companies. It seems like an idea everyone can agree on. "I don't think anyone is pro-landfill or pro-garbage," Morris said.